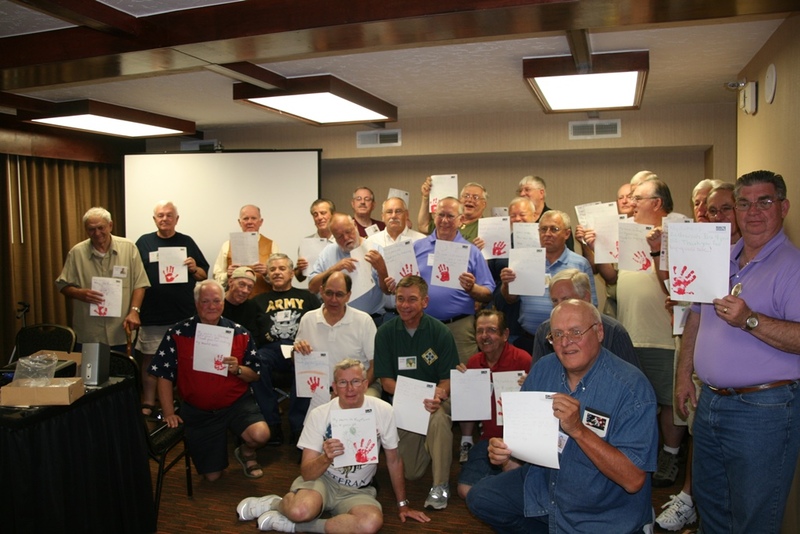 RAYMOND WARNER (kneeling bottom right), a local Vietnam Veteran, recently attended his 4th Infantry Reunion in Tulsa. He personally delivered “Thank You Soldier” notes that had been made by the children of The Crossing Church to the combat veterans. Many, still having memories of being spat upon when they returned from the war, were deeply moved by the children’s efforts acknowledging their service to their country. Most attending were Purple Heart Recipients. You ALL deserve our thanks! !